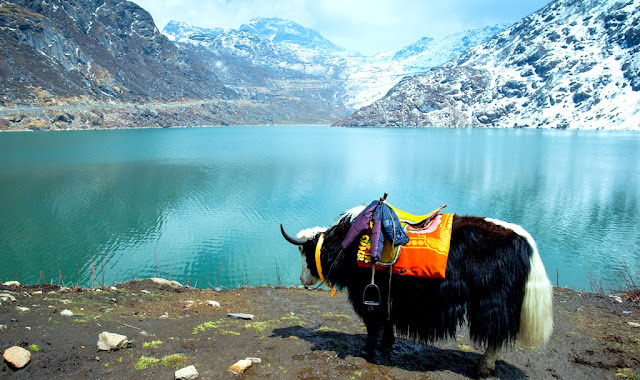 Greatest Himalayan trekking routes in and around India for the adventure seekers. 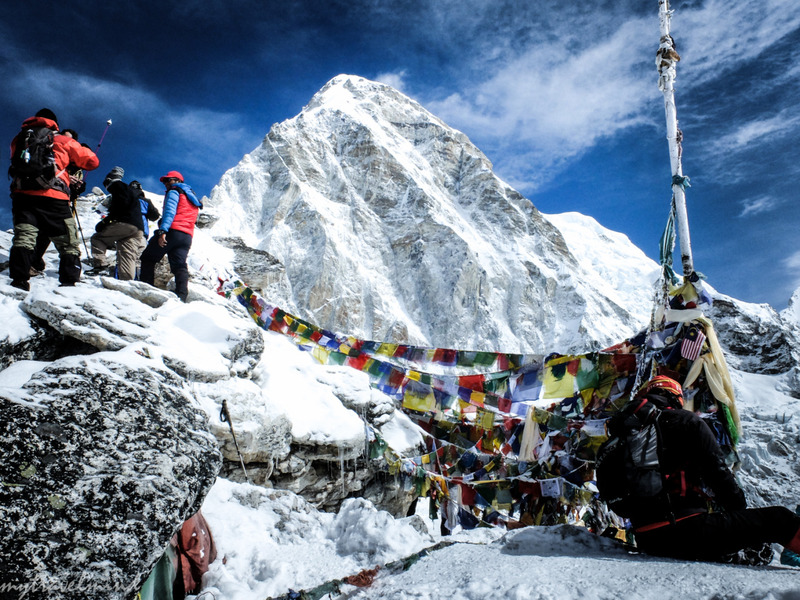 The Everest Base camp has been a favourite place for trekking and mountaineering for trekkers from all over the world. And while this is a great option and indisputably the best one indeed, there are many other Himalayan trekking trails at over 24,000 feet rich in both beauty and thrill. Located in India and its neighbouring countries of Bhutan, Nepal, Pakistan and Tibet, sharing the mighty mountain range, these superb trekking routes in Himalayas are what every enthusiastic trekker should definitely explore. So, here are 10 of the best Himalayan trekking trails that anyone truly in love with nature must definitely explore. Nestled in western Himalayas, Bhutan is a mysterious country that remains veiled in clouds. As intriguing and winsome as it looks, this also leads to some very complex treks of the region, making for a challenging yet interesting experience. Begining in Paro Valley and extending to the Chomolhari base camp (24,035 ft) which is Bhutan’s second highest peak. Being a sacred ground for Tibetan Buddhists, the trek has a lot of restrictions, which also means only a few trekkers have had the privilege of trekking along this gorgeous path bathed in pristine natural beauty and rich culture of Bhutan. One of the most challenging treks in the world, the Snowman Trek traverses along 11 passes forming the Himalayan spine that stretches from Bhutan to Tibet. The only good time to set on this journey is the short period of three weeks of October, minus the snow or wet weather that is experienced the rest of the year. 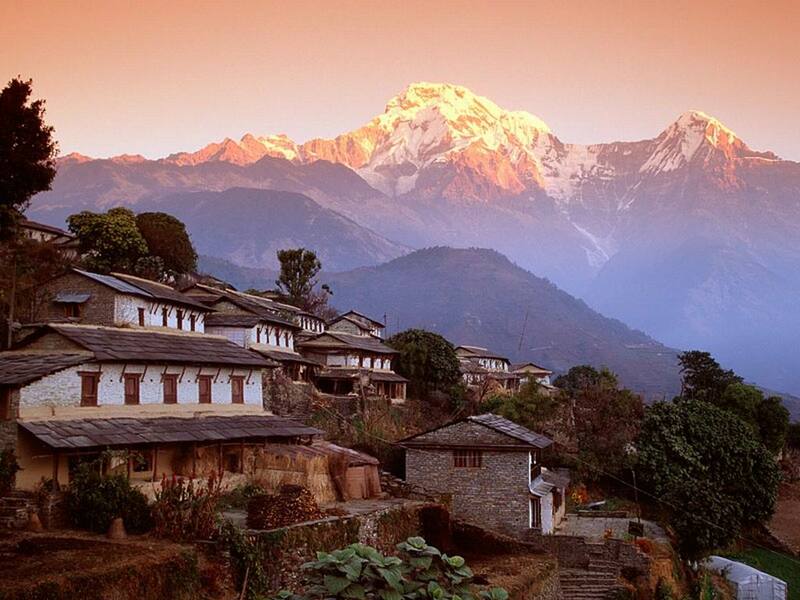 Situated in the midst of the Himalayas, the small country of Nepal is a beautiful and culturally rich country. It is the home to about 14 mountains which are over 26,000 ft high and host mountaineering and trekking for adventure seekers from all over the world. Needless to state, this trek is our absolute favourite Himalayan trek. The marvellous vista of the Everest along with some of the highest mountain peaks in the world, a superb trail and lovely tea houses for an unforgettable stay make this an unmatched trek for anyone. Highlights: Mt. 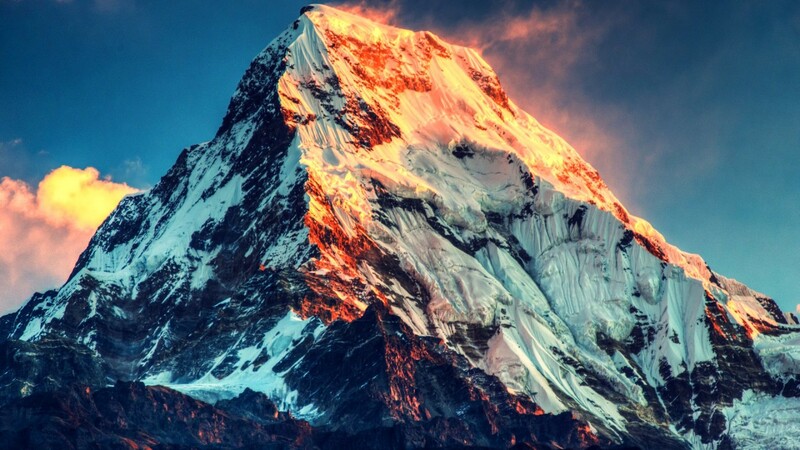 Everest, Pumori, Lhotse, Nuptse and more. 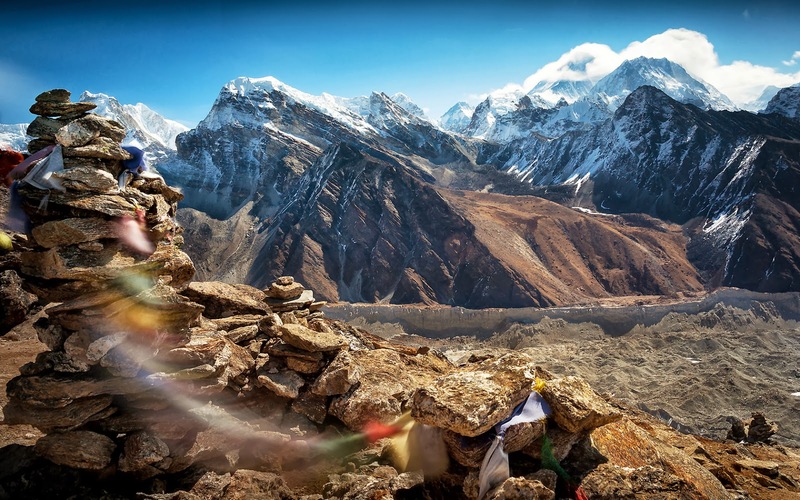 Painting a completely distinct picture than the rest of the Himalayan trekking trails, Upper Mustang trek offers a splendid desert terrain marked with beautiful mountains and ancient Tibetan culture of the region. The trek, opted by only about a 1000 tourists a year, requires a special permit and combines tea house stays and camping in the wild. This trek is unlike any others. 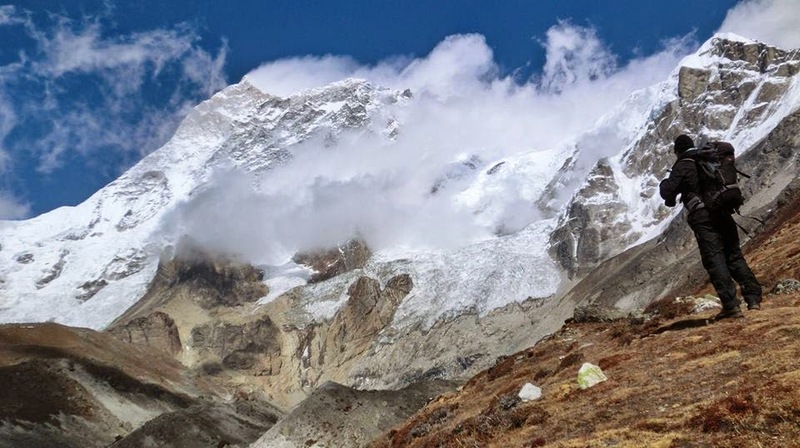 It starts at a low altitude of mere 1,427 ft to Makalu base camp, the 5th tallest summit, at 27,765 ft, hence lets you experience a gorgeous transition of environments as you trek higher. With pristine forests and alpine meadows lined along the way, camping is the only mode of accommodation during the trek. The Himalayas in India span across the winsome northern region of the country starting from Arunachal Pradesh in the north-east to Kashmir in the north-west. Skirting the base of the third tallest peak of Kanchenjunga, Sikkim serves as the ideal and a popular spot for trekking. The central parts of Himalayan trekking trails in India include certain regions of Himachal Pradesh and Uttarakhand; while Laddkakh in the west, which is also the driest Himalayan region, makes for one of the best trekking trails in India. Often referred to as ‘heaven on earth’, Kashmir offers breathtaking views of Himalayas, but due to security risks, is not a preferred option for trekking. 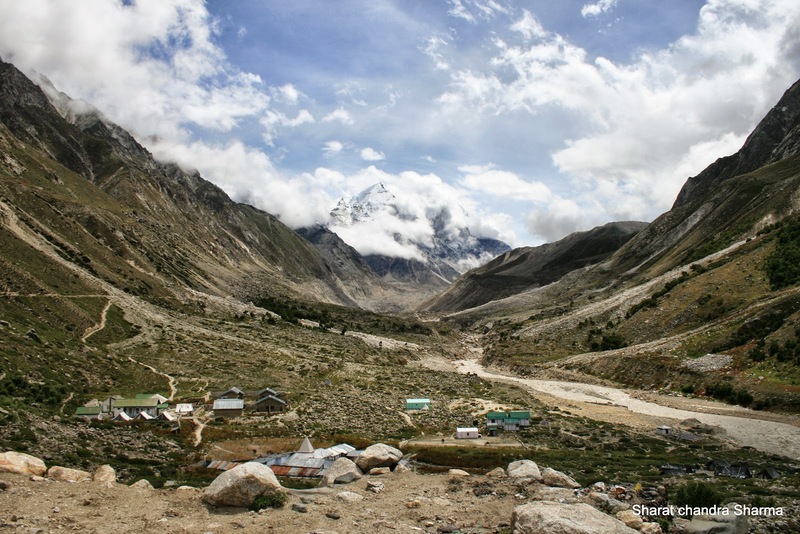 This Himalayan trekking route near Gangotri glacier, takes you to the origin of the the holiest river of India, the Ganges. Gomukh located at the base of the glacier is the source of the river and therefore the trek is also a famous pilgrimage of the country. 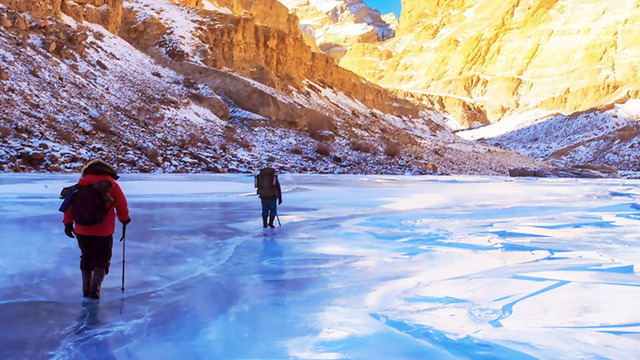 One of the most wonderful trekking trails in the Himalayas, this is trek paves its path along the frozen river of Zanskar. Connecting the quaint villages of Zanskar Valley to that of Chilling village on the road to Leh, the trek offers splendid beauty of the surrounding frozen in the below zero degree (-10 in the day to -25 degree Celsius at nights) temperature. One of the wettest Himalaya treks in India, Goecha La trek of Sikkim is a popular and an unforgettable trekking route. What begins with a step along the muddy path amidst the dense rainforests, gradually makes way to alluring rhododendron thickets, mesmerizing views of mountains and azure waters of Samiti Lake. 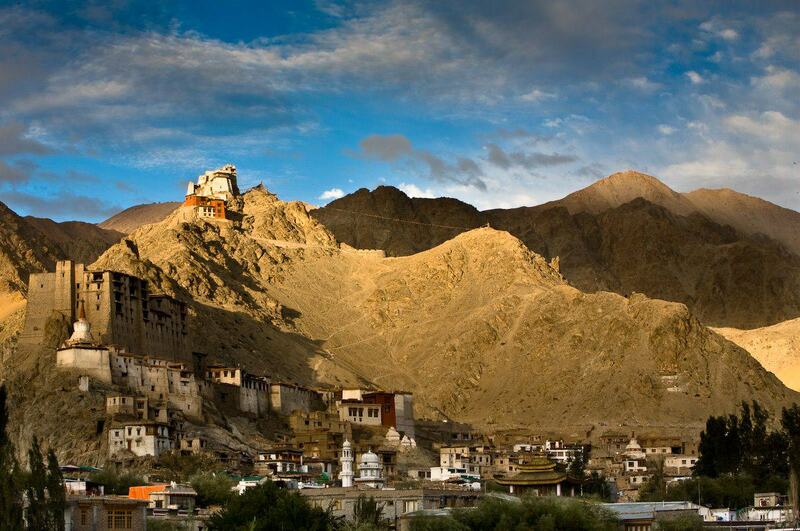 Tibet is a land of mystifying beauty and culture of Buddhism. The Himalayas here are much drier and colder than those in India or Nepal. 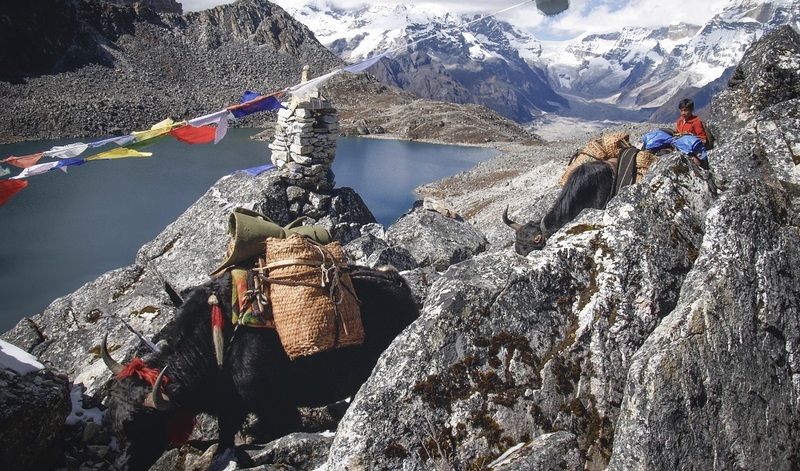 Tibet offers some fantastic Himalayan trekking trails of which the one to Everest base camp is the most sought and is also the highest possible distance you can climbing sans a permit. 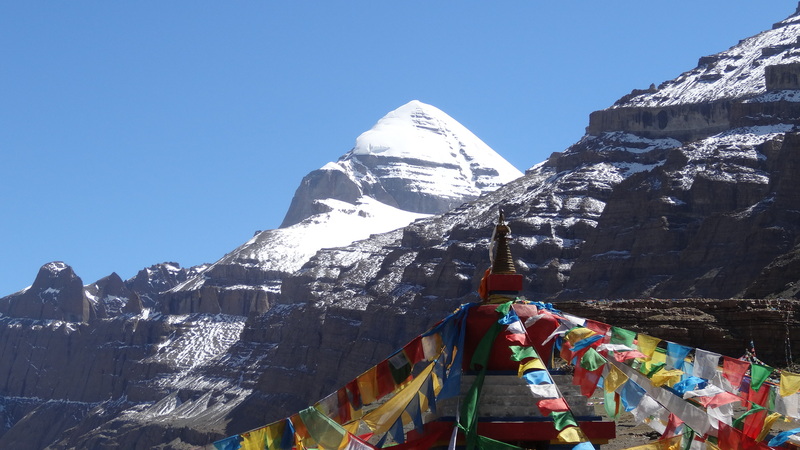 The Kailash mountain is one of the most prepossessing mountains with a symmetrical layout. It is a sacred mountain for the Indians and is believed to be the abode of the Lord Shiva, which established it as Hindu pilgrimage as well. A highly difficult trek, the circuit involves a clockwise (for Hindus & Buddhists) or counter-clockwise (for Jains & Bonpo) trekking route. Maximum Altitude: 18, 471 ft. The Everest Base Camp which is located in Nepal is the southern aspect of the mountain and the more popular one, while in Tibet the route can be traversed all the way to the camp by a vehicle. However, beyond the base camp is where the trekking trail gets interesting with challenging climb and a scintillating backdrop of the huge snow-white mountains. This route to EABC (Everest Advanced Base Camp) is the highest (20,795 ft) that one can get to on Everest, without a climbing permit. So, which Himalayan trekking trail are you planning your next adventure at? Let us know in the comments below.